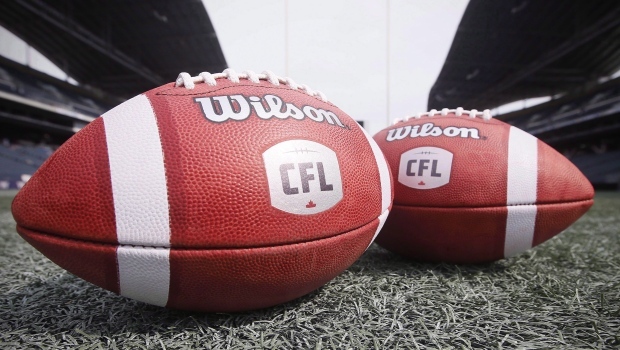 HALIFAX -- A group of professional sports executives quarterbacking a plan to bring a Canadian Football League team to Halifax is set to make an announcement Wednesday as it ramps up efforts to secure a conditional expansion franchise. But the critical question -- how to fund a new stadium -- will likely remain unanswered. "To make a pro sports franchise work you must have a place to play, it's just that simple," CFL commissioner Randy Ambrosie said recently, noting that the expansion team's prospects hinge on a suitable stadium being built in Atlantic Canada's largest city. Critics call public subsidies for stadiums "sports welfare" for wealthy owners, with limited public benefits; supporters say it is money well spent to create jobs, boost the economy and generate civic pride. The group says next steps include launching a name-the-team contest and a season-ticket campaign to gauge local enthusiasm -- and more importantly whether people will open their wallets for football. But the biggest obstacle to securing the league's 10th franchise is building a new 24,000-seat stadium. Fans of the CFL bid say a professional sports team would give the community a sense of civic pride, cementing Halifax's status as a first-tier city. "There is optimism that we can do this as long as everybody is at the table, understanding what the shared risk is," Anthony LeBlanc, a former Arizona Coyotes co-owner and one of the three founding partners of Maritime Football, told reporters after council's decision to move forward. He made it clear that while the group could shoulder the cost of the stadium's operations, construction costs would require public funds. "I don't see how we can continue with a stadium proposal that does not involve at least (the Halifax municipality) and the province, if not the federal government." "Such facilities generate little new revenue for the region, they simply take recreational spending that previously goes to other purposes," Bruce Kidd, a University of Toronto kinesiology and physical education professor and former Olympian, says in an email. "It will be difficult for anyone to make a sound business case, i.e., that it will add to overall regional GDP, let alone ever make enough to pay back the subsidies." Kidd also pointed out the highly gendered nature of professional sports. If facilities cater only to men's sport -- as is virtually the universal case in North America -- he says they constitute "men's cultural centres." "The subsidies privilege men's team sports and the symbolic affirmation of masculinity over other potential public projects, including programs that address challenges of inequality, including gender-based violence," Kidd says. Kidd pointed out that Canada faces a crisis of physical activity, and that "there is little evidence that the dramatic display of athletic excellence in a civic stadium or on television actually leads to a modeling of the ethical values rhetorically associated with sport or an increase in sports participation, especially among the young." The Dalhousie University social anthropology professor and "huge sports fan" grew up watching NFL football -- her father coached for the Denver Broncos and the Houston Oilers. "If Halifax wants to claim its position as the most cosmopolitan city east of Montreal, this would be part of that," she says, noting that the football team would complement Halifax's robust culture and music scene. "It's about being part of something bigger than just Maritime culture that spans the country." But she said football's popularity among youth has decreased in recent years, potentially due to greater awareness of the risks of head injuries. "Soccer is growing more in popularity and with a growing immigrant population there may be more interest in going to watch a soccer game," Gambold said. She added that high demand for the municipality's existing sport facilities such as hockey arenas, as well as the state of local hospitals and other public infrastructure, makes the argument for putting money in a stadium hard to win. As for the proposed location for the football stadium, Concordia University sports economist Moshe Lander -- who teaches at Dalhousie in the spring -- says Shannon Park is risky. "If the game starts at 7 p.m. and everybody's working in downtown Halifax until five, there's a very small window when everybody's going to push for the bridge," he says. "It doesn't have to be a substantial amount of traffic to create total gridlock." Even with a shuttle or harbour ferry to Shannon Park on game days, Lander says "only the most die hard of die hard fans are going to want to go out there." "It's an awesome idea except it just never works like that," Lander says. "If Shannon Park were already going through a development phase where it was becoming the trendy place to be and the young people were moving in then yeah, you drop in the stadium and all of a sudden you have night life," he says. "But it doesn't work the other way around." The owners of the stadium would pay property taxes on the development, but the city would return that money as a payment against the stadium's debt.